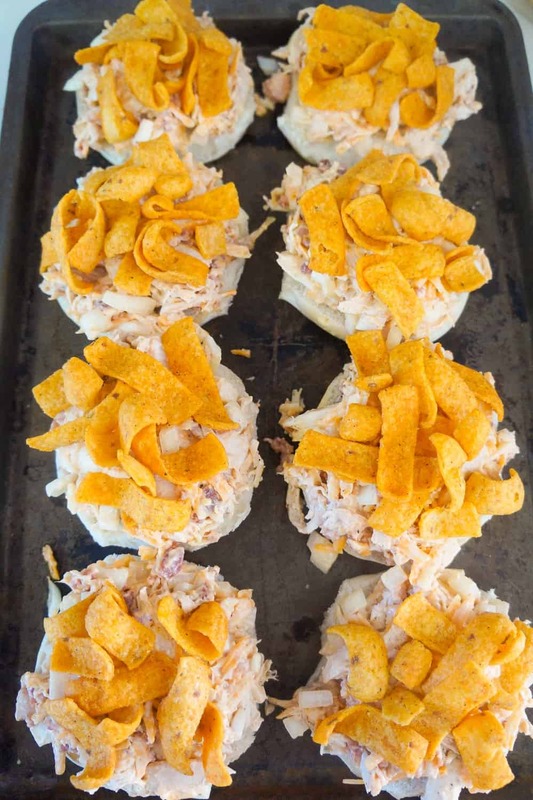 BBQ Fritos Chicken Sandwiches are an easy dinner recipe using shredded chicken and loaded with BBQ corn chips, cheddar cheese and bacon. 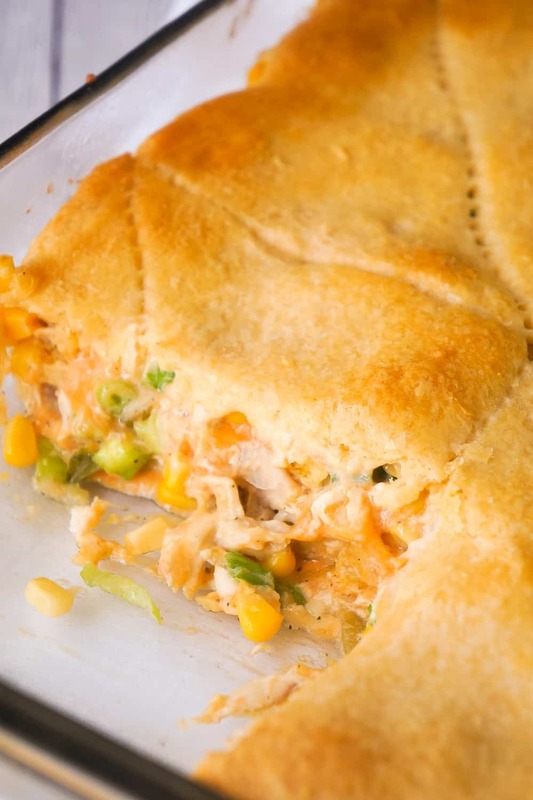 This recipe is perfect for summer because if you use a grocery store rotisserie chicken you won’t even have to turn on the oven. 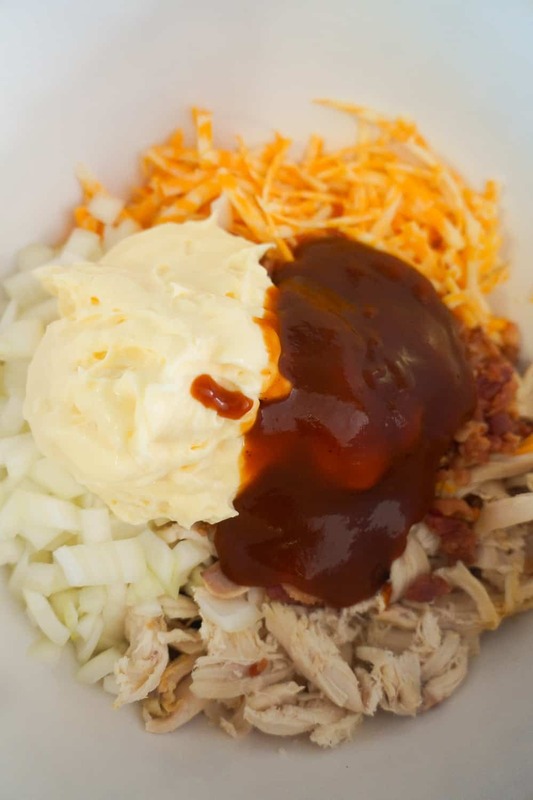 To make these chicken sandwiches I started by dumping some shredded rotisserie chicken into a mixing bowl along with some diced onions, shredded cheddar cheese and real bacon bits. Then I added some mayo and BBQ sauce. 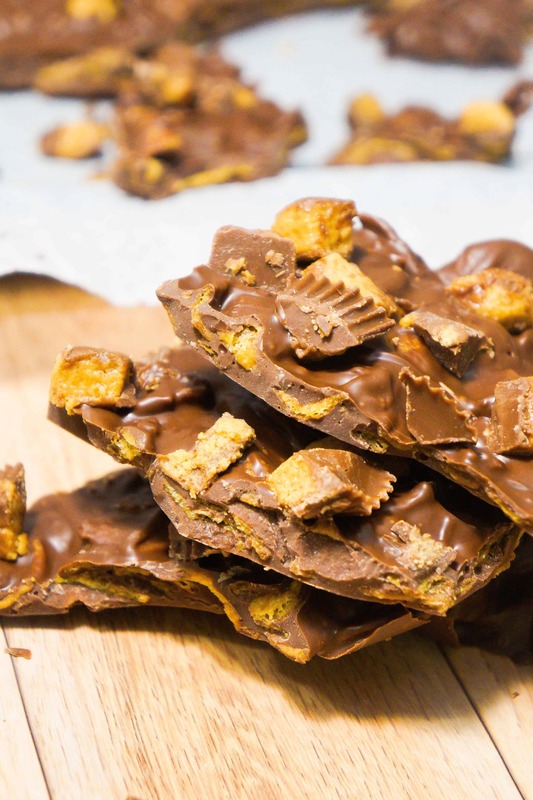 I stirred all the ingredients together until they were fully combined. Then I placed the bottom halves of some hamburger buns on a baking sheet. I spooned the chicken mixture onto the buns, pressing it down slightly. 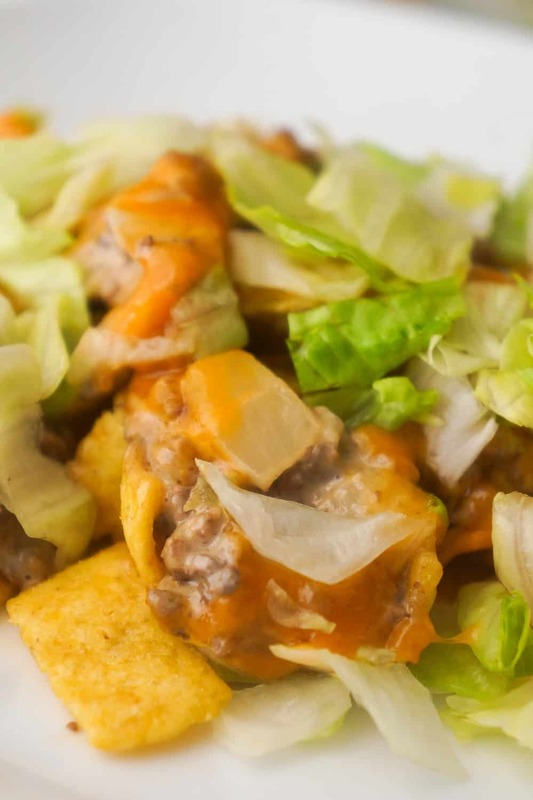 Then I placed some BBQ Fritos corn chips on top of the chicken mixture. I placed the top halves of the buns on the sandwiches and served them. 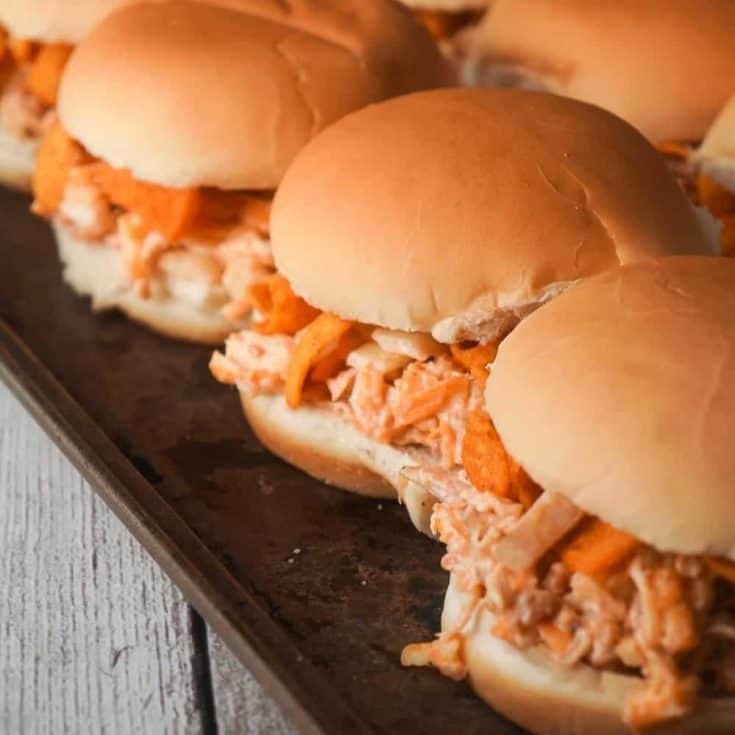 Be sure to try these BBQ Fritos Chicken Sandwiches if you are looking for a quick and easy dinner recipe that won’t make you turn on your oven in the summer heat. 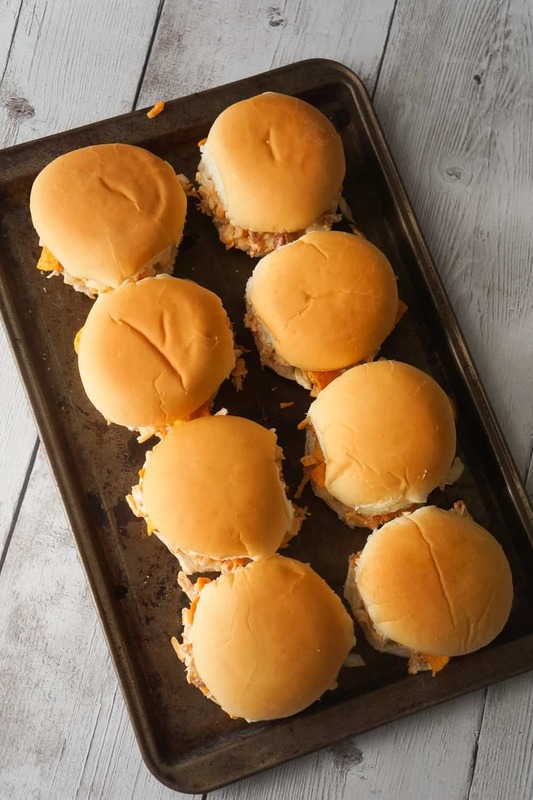 If you are looking for more sandwiches recipes check out Sweet Chili BBQ Chicken Sliders, Potato Chip Loose Meat Sandwiches and Shepherd’s Pie Sliders. Another delicious sandwich recipe. 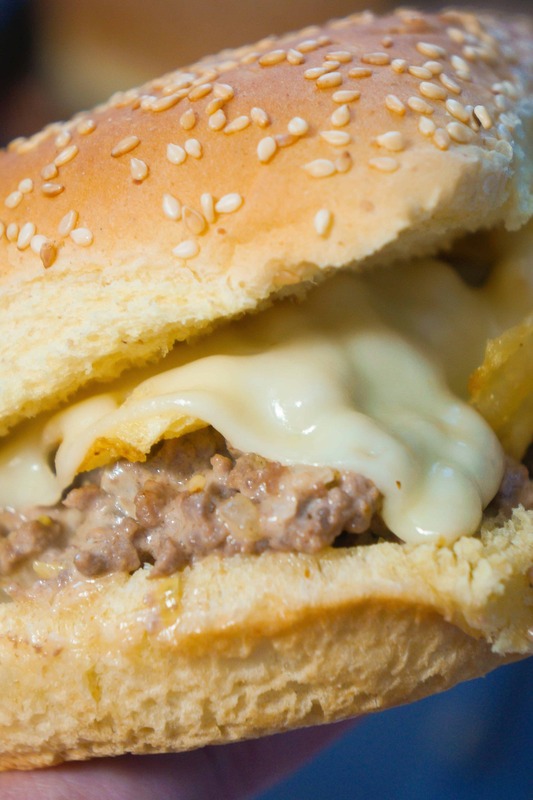 Check out Potato Chip Loose Meat Sandwiches! 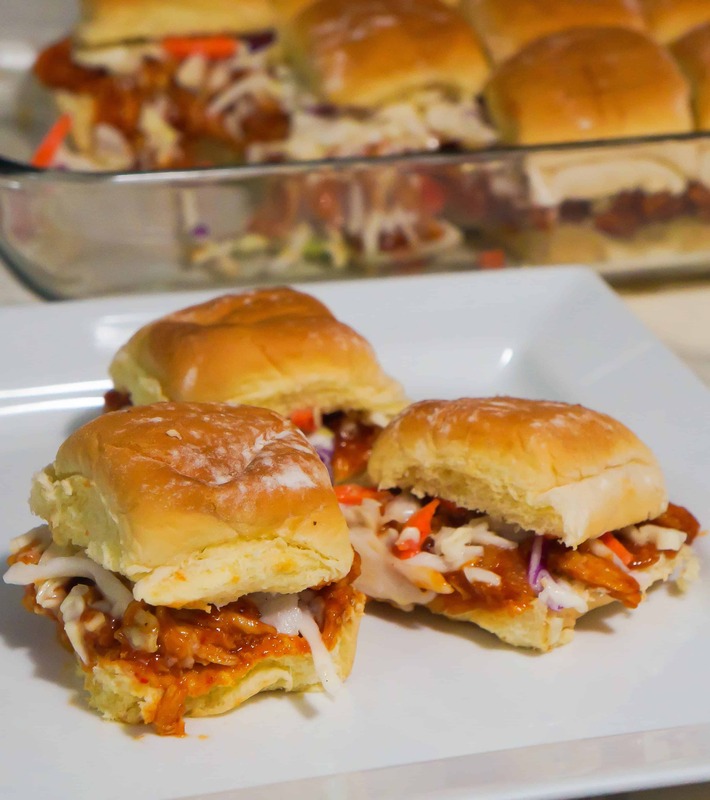 Be sure to also check out Sweet Chili BBQ Chicken Sliders! 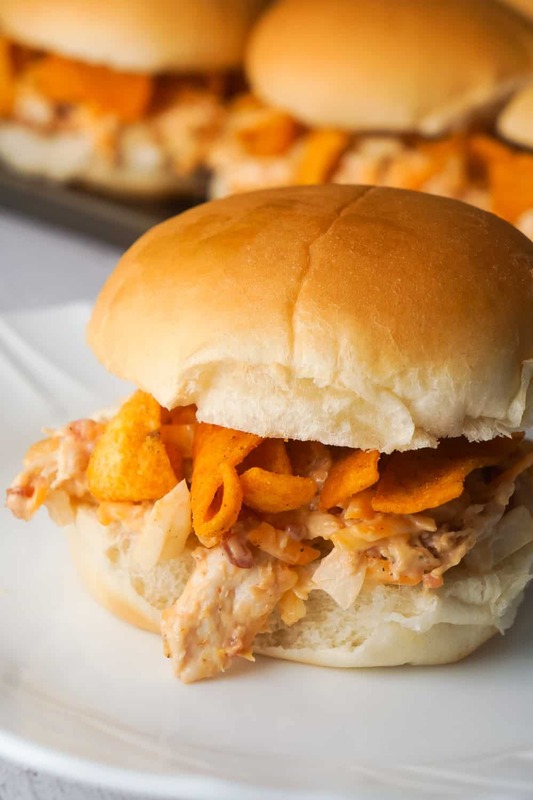 BBQ Fritos Chicken Sandwiches are an easy dinner recipe using shredded chicken and loaded with BBQ corn chips, cheddar cheese and bacon. 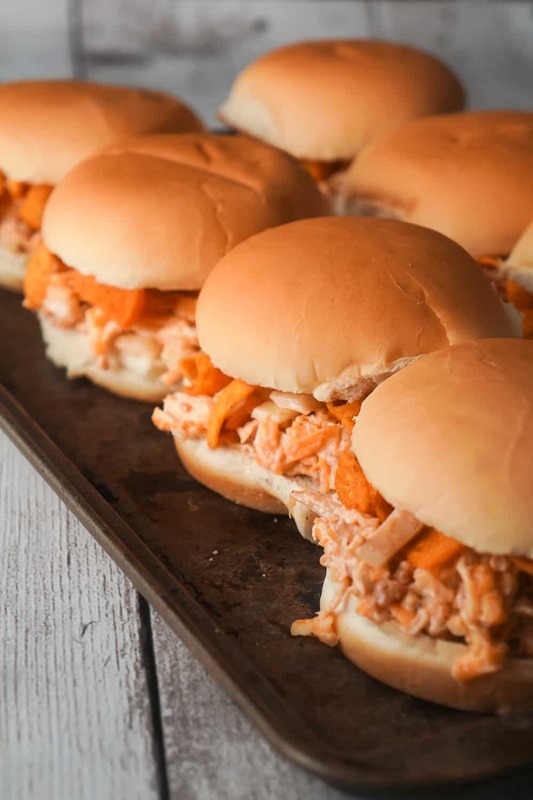 This recipe is perfect for summer because if you use a grocery store rotisserie chicken you won't even have to turn on the oven. 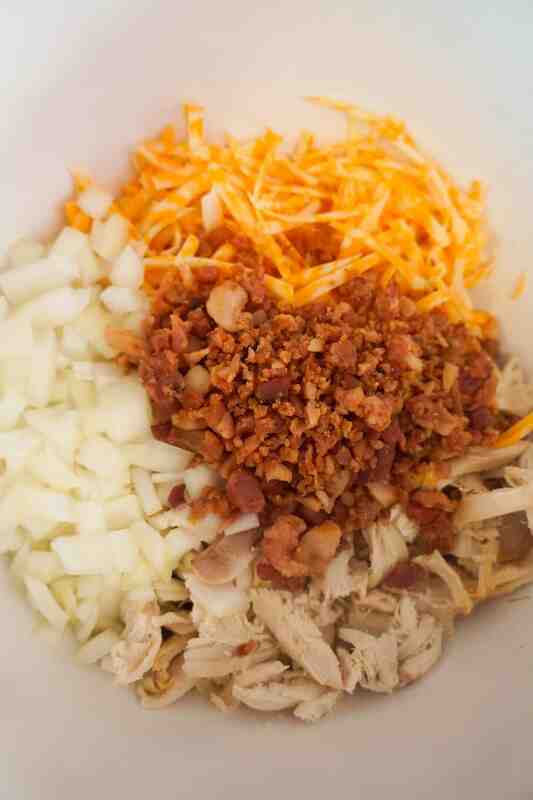 Place the shredded chicken, shredded cheese, diced onions and bacon bits in a mixing bowl. Add the mayo and BBQ sauce and stir until fully combined. 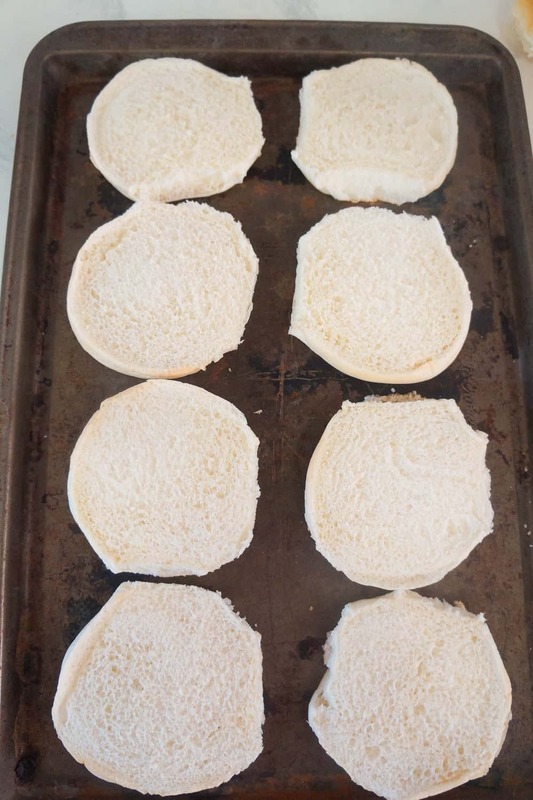 Lay out the bottom halves of the hamburger buns on a tray or baking sheet. 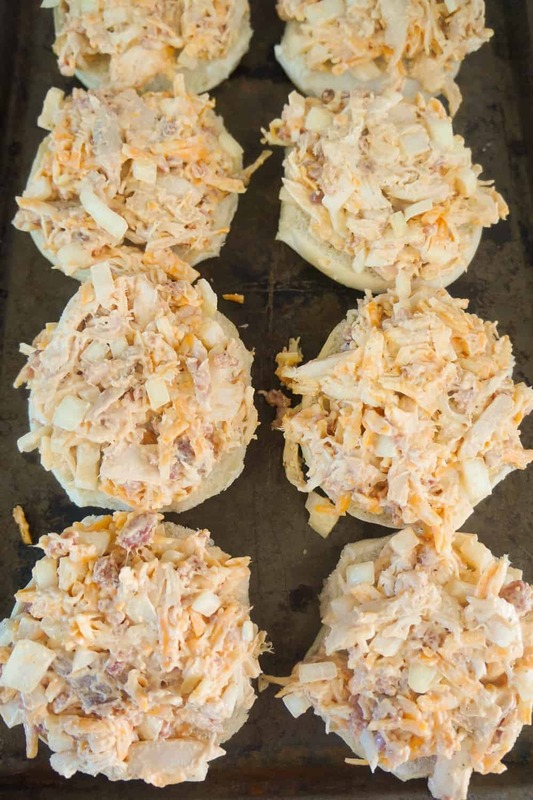 Spoon the chicken mixture onto the buns and press it down slightly. 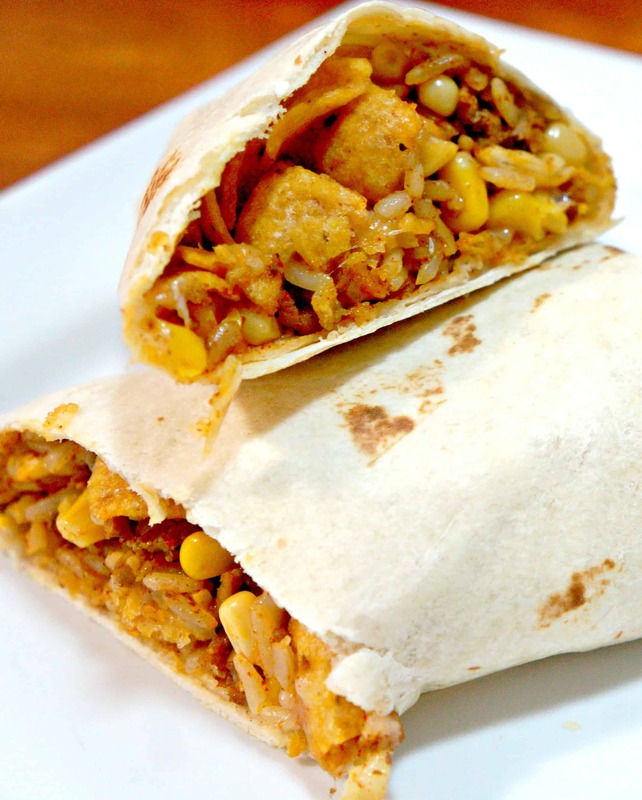 Place the BBQ Fritos on top of the chicken mixture. Place the top halves of the buns on the sandwiches and serve.